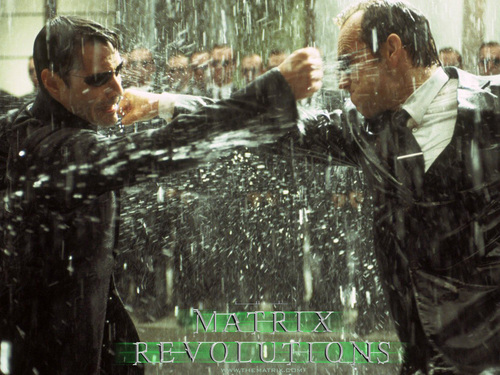 Matrix Revolutions. . HD Wallpaper and background images in the The Matrix club tagged: the matrix wallpaper matrix matrix revolutions neo agent smith keeanu reeves wallpaper. This The Matrix wallpaper contains signo, cartel, texto, pizarra, and letrero. There might also be fuente.